Yay for new videos! Today I'm sharing my holiday gift guide with Mark & Graham for everyone on my short list. If you're anyone in my immediate family or my boyfriend/boyfriend's family, please DO NOT read/watch!! Mark & Graham has great things for everyone on your list and adds such a fun touch for monogramming. So enjoy the video and be sure to subscribe! Would mean the world to me :) If there are any other videos you guys want to see, let me know below! 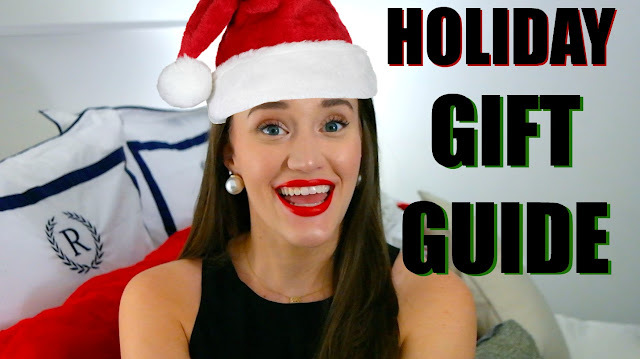 Shop my major gift guide here! Thank you so much for the ideas. I am still a bit clueless about what to get my boyfriend but it should be fine! :) I love the cashmere scarf. I really need to have a look at Mark and Graham!